Congratulations. You made it to Friday. But before we gleefully shut down our computers and skip off into the weekend sunset here, we’re recapping some of the noteworthy musical moments you may have missed this week. Festival schedules, national anthems, David Bowie…oh my! The Oaktopia schedule has been released. Mark your calendars and plan accordingly — the full Oaktopia schedule has been posted! Things kick off Thursday with a musical celebration of Tom Petty at Petty Fest. Then, Norah Jones makes a mighty return to North Texas on Friday night. Don’t go anywhere though — Rae Sremmurd takes the reigns on Saturday. Of course, there are dozens more local and national acts to behold in between. Learn more about how this scrappy Denton fest is on the rise in our recent interview with festival organizers Matt Battaglia and Eric Pulido (Midlake). New videos from Tegan and Sara, Florence & The Machine, Angel Olsen. Speaking of our favorite ladies…. Happy Birthday, Pearl Jam’s Ten! 25 years ago this Saturday, Pearl Jam released their debut album Ten. Fast forward to 2016, and that album — and the Seattle band itself — remains a rock/alt/grunge stalwart for the ages. Check out our post listing 10 things you may not have known about the record. Feist is reuniting with Broken Social Scene. Our hearts were all aglow when Broken Social Scene recently announced their plans for their first studio album in six years, not to mention their handful of upcoming U.S. performances. Sadly, no Dallas show on the books yet, but that doesn’t mean we’re not celebrating. This week news broke via Instagram that former lead vocalist Leslie Feist (Feist) will be reuniting with the Canadian indie darlings for that album and, well…let’s just say happy dances have ensued. 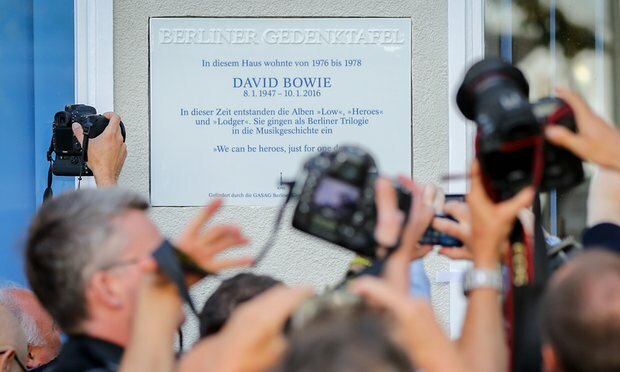 Berlin commemorates David Bowie’s time in the city with a new plaque. It’s been seven months since the world lost David Bowie. We’re all still reeling. This week, a plaque was unveiled at the home where the late rock star lived during his stay in Cold War-era Berlin with Iggy Pop. Around that time, of course, Bowie recorded his iconic Berlin Trilogy of albums — Low, “Heroes” and Lodger. As The Guardian noted, when Bowie lived in Berlin one of the things he loved the most was being able to move around in “virtual anonymity” because “Berliners just didn’t care.” But 40 years later it seems they cared a great deal, for on Monday several hundred fans, politicians and friends showed up at the unveiling in order to pay tribute to the beloved legend. 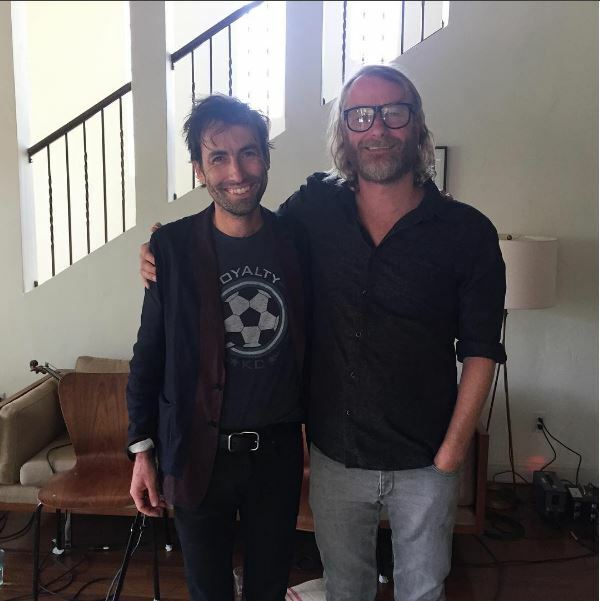 Andrew Bird and Matt Berninger gave us a live concert from Andrew’s living room. Finding out two of your favorite artists know each other and get along and like the other’s music is just, just…*sigh*. And then to watch them play and laugh together on a casual Thursday afternoon…is there anything more heartwarming?! Watch Andrew Bird and Matt Berninger (The National, El VY) put on a modest yet mighty performance from “The Great Room” (aka Andrew Bird’s living room) via Facebook Live. What’d we miss? Let us know at @kxtradio. Happy weekending, friends!